happy friday and hello weekend! i had quite a few questions on this outfit that i posted on instagram a few days ago when we were at a graduation so i decided to go ahead and give it an official "outfit post". i seem to keep finding amazing neon pieces everywhere i look, so i've decided to run with it and enjoy the trend. so far now i have collected neon tees, skirts, shoes and belts... technically i could do an entire post and look like a complete neon blob but we'll keep from making everyone go blind and avoid that post! for now, i'll just dress up this fab (and amazingly priced!) 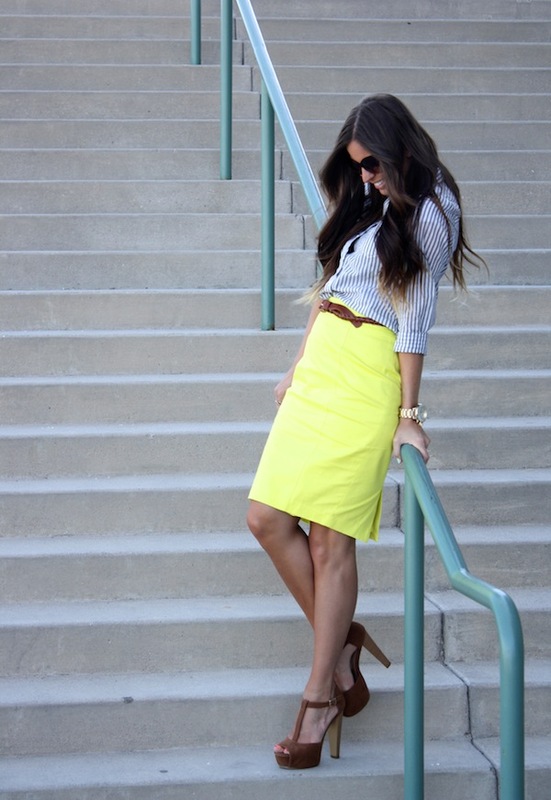 neon pencil skirt and call it a day. enjoy your weekend and don't forget to enter the r&e avenue giveaway which closes sunday! This is such a cute outfit! 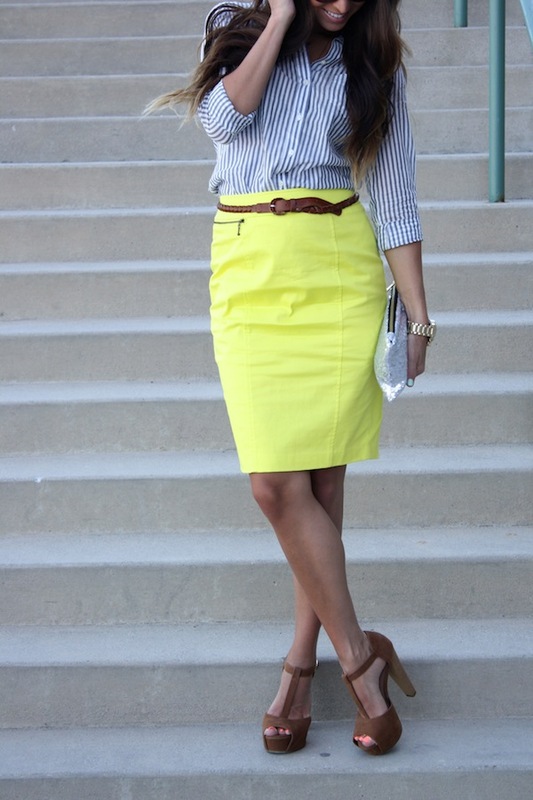 Sophisticated with a pop of gorgeous neon. I love it! You are stunning!! I am not normally a neon person because my skin tone is so light but this is sooo cute! I’m not even gonna lie… I think the pregnancy thing is a hoax… But if by chance you really are pregnant, you look amazing!!! I literally just bought the same top from Old Navy last weekend... Love it.. you looks great! and specially i love your shoes which looks gorgeous..
Like the outfit so much really nice keep posting new photos. Superb post! I've bookmarked your web site as well for the reason that I realized it is actually educational and I enjoyed reading your posts.It appears like you'll do a fantastic job on the net.